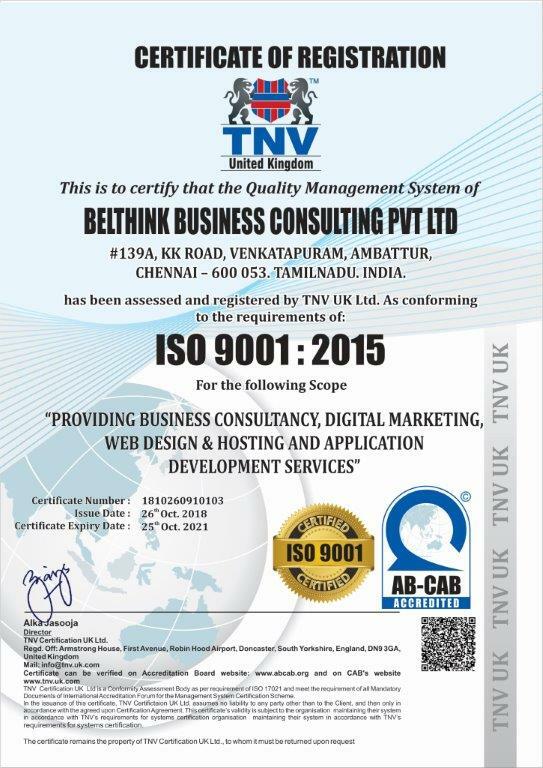 Belthink, one of the fastest growing Digital Marketing & Diversified Consulting company in India, based in Chennai, has been harnessing its clients with its continuous & advanced technical support, powerful game changing strategies and helping them to take their brand to farther reach with zero limit target. Belthink, a digital and consulting partner for many Small & Medium Enterprises (SME), Corporates and Start-up firms leverages the technologies, latest tools and greatest technical minds to make its clients data more relevance and intelligent than ever with highest standards of privacy. We offer incremental growth to your business by taking you onboard with convincing strategies and marketing plans throughout the project and enable you to collaborate with our team synchronous to your challenging and hectic business schedules. We inspire your target audience to turn towards your brand and services by deeply positioning into their veins thru creative, innovative and successful strategies and thru amplifying their potential gains by using your brand or relevant services than before. We do, prefer and mostly adopt “natural marketing” techniques to appeal your end customers and to incline them towards your products and services. Our extensive and dedicated programs help your business achieve 6X returns on every rupee spent with us for advertisings and marketing campaigns exclusively. We thrive and think beyond to grow your business and not just that but also support you with on how to retain your end customers by engaging with them periodically through dedicated content marketing platforms. We achieve our results by constantly collecting & updating all your data and its related decisions into our cloud server and dedicated server infrastructure supported with redundant RAID 1 storage technology. Build extensive strategies to achieve the objectives. Engage with clients and their end customers thru innovative programs. Look for scalable & enduring customer solutions. Tryout constantly with new technologies to simplify the processes. Harness the background of client’s data. Keep focused on project performance and its results. We strive to be a leading digital marketing & diversified consulting (DMDC) company. Our resources are well trained and are highly experienced about on how to maintain quality standards when it comes to outsourcing projects. Our team puts in quality time and efforts in validating the codes and to adhere to processes involved in maintaining international standards. We have a very stringent quality process in place and prior to that we are not allowed to launch any application or deliver a service. 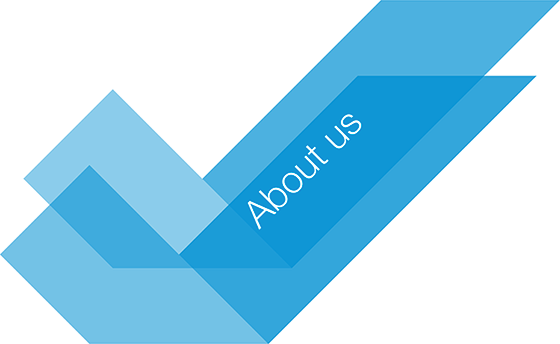 We adopt w3c standards and as a policy we write only responsive design codes for any website design. We do both mobile and desktop optimizations, code optimizations and image optimizations leveraging latest tools. We embrace Google’s “White Hat” procedures for organic Search Engine Optimization and follow every step of Google’s advice to avoid errors and misbehaviors of our client websites. We ensure that our clients data are kept confidential and with highest standards of security. To maintain this, we store and access all the data that we are involved thru secured cloud and dedicated server infrastructures. We perform random checks and as well regular checks on all the domains and their web pages we manage to make sure if everything is in order. Our UI/UX designs are one of the best in the market as we follow the WCAG 1.0 and WCAG 2.0 (Web Content Accessibility Guidelines). Strive continuously for appropriate and latest technologies conforms to ease the compatibility, provide more functionality, high Usability and large scalability and that meets all required features as well demanded by the projects. Our Quality processes are aimed at delivering the projects on-time enabled with continual improvement, feedback analysis and thru continuous collaboration and feedback with our clients.